Spa Silvia has been servicing the Greater Metropolitan Detroit area for the past 47 years and has relocated inside the BEST WESTERN Greenfield Inn in Allen Park. 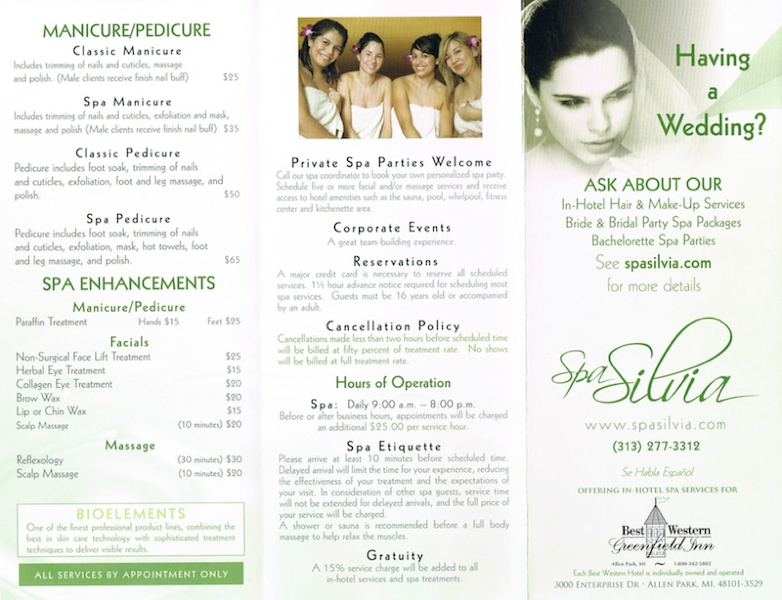 We offer a wide variety of spa services and spa packages. Our clients appreciate the comforting atmosphere and spacious environment, with five luxurious treatment rooms to help you relax, renew and unwind. Massage Therapy – Swedish, Deep Tissue, Hot Stone, Pre-Natal, Aromatherapy, & more. 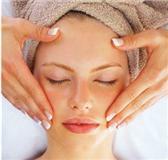 Spa Facials – Deep Pore Cleansing, Manual Microdermabrasion, Collagen, Aromatherapy, & more. 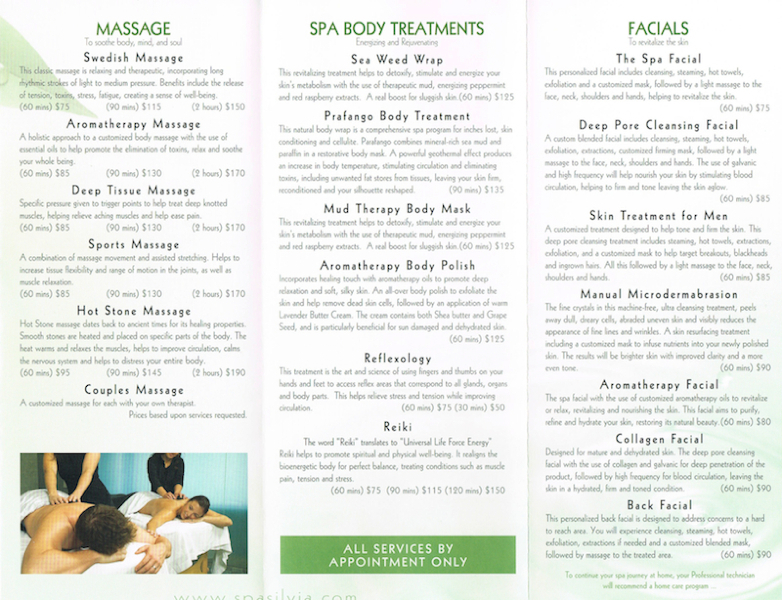 Spa Body Treatments – Wraps, Mud Masks, Body Scrubs, Body Polishes, Sunless Tanning, & more. 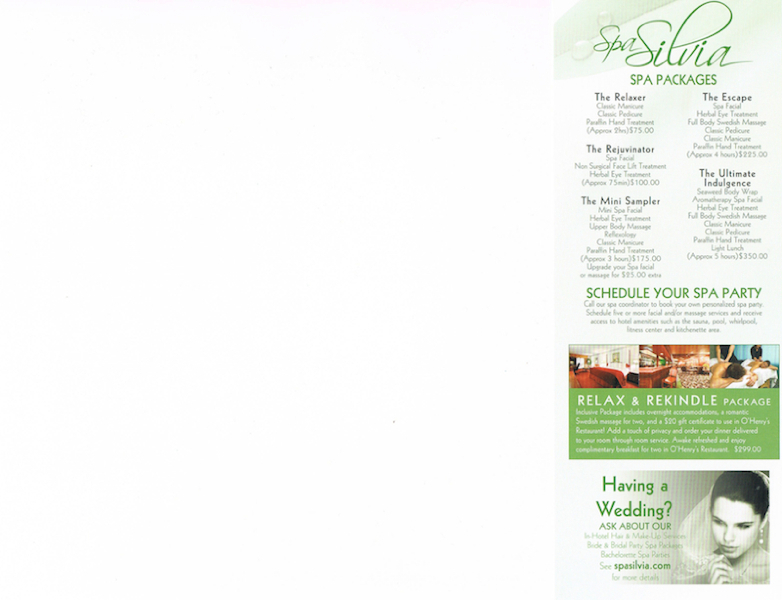 Download the Spa Silvia Spa Services Menu Here. This inclusive package includes overnight accommodations, a romantic Swedish massage for two, and a $20 gift certificate to use in O’Henry’s Restaurant! Add a touch of privacy and order your dinner delivered to your room through room service. Awake refreshed and enjoy complimentary breakfast for two in O’Henry’s Restaurant.